Set in a fictional 19th century world, D.Gray-Man tells the story of 15 year old Allen Walker, a boy who roams the earth in search of innocence. Washed away to parts unknown after the "great flood", Innocence is the mysterious substance used to create weapons that obliterate demons known as akuma. The users of innocence are known as accomodators, or exorcists. Together with his fellow exorcists of The Black Order, Allen sets out to defeat the evil Millennium Earl, creator of the akuma, tragic creatures formed from the souls of rekindled humans. 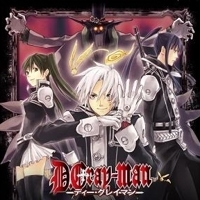 5684 users rated D.Gray-Man [TV].